When it comes to losing weight there’s never a “quick fix” that can help you to shed the pounds and keep them off for good, but there are sometimes simple changes you can make to your everyday life that aren’t hard to do and can result in a healthier lifestyle. One of the best things you can do that will help you to lose weight in an easy way is to drink more water. Whether you fill up your bottle with water from a Colorado Springs water delivery company or you eat foods that have more of a water content, there are benefits to incorporating more water into your diet and creative ways to sneak it in without feeling like you have to chug glass after glass of H2O! Why is water delivery better than single-use bottled water? Drinking pure, great-tasting water on the go doesn’t have to be a challenge. There are a ton of ways for a person to access water whether they’re on the road, in a business or participating in an athletic competition or activity. Some people use refillable water bottles, other just bring cups in the car, but many turn to single use water bottles when they’re in a hurry. In fact, every day consumers are bombarded with advertisements and the idea that a single-serve water bottle is the most pure and convenient way to consume water when you’re out and about, but that truly isn’t always the case. The water in single-serve bottled waters can sometimes be bad for your health, bad for the environment and bad for your wallet. 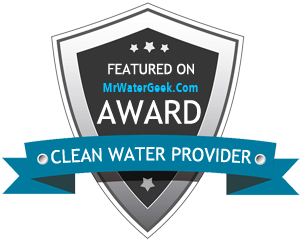 By taking a look at what you’re really getting when you’re consuming a single-serve water bottle rather than fresh, purified water from a Colorado Springs home water delivery company, you can decide how you should be drinking water on the go. In Colorado, as the weather starts to get cold, the air becomes much more dry and staying hydrated becomes even harder than usual. Just like it’s important to drink a lot of water during a hot day, it’s important to continue to hydrate as it gets cold. It’s easy to tell how the weather is affecting your body as well - your skin might be dry or flaky, the elasticity in it might be less than normal and skin may be more dull. Colorado Springs bulk water delivery happens year round, and using water delivery companies is a super popular service in the Colorado Springs area, but with so many options it can be overwhelming to make a decision on what company to use. By comparing water delivery companies in Colorado Springs, you can feel confident in the choice you make. Working nonstop can be good for your career, but it can take a toll on your health and personal life. In fact, sometimes working more can make you feel less productive while in the office. Does it feel like you’re working twice as hard to tackle a simple task? Do you spend more time than usual with your mind on a nap or on some “me” time? Stress from work or a lack of taking time for yourself every day can cause a feeling of being overworked, fatigued and can keep you from getting jobs done efficiently. Part of working more means working out less and giving up a morning run, an evening pilates class or even your lunch hour yoga break can take a toll on your health and mental awareness. Squeezing in workouts between calls and finding a way to run for fitness rather than running to a meeting is difficult but it is possible. Does Coffee Make Employees More Productive? Coffee is a common part of most adults’ everyday life. When we wake up, we grab a cup. Once at the office we might grab another as a mid-morning pick me up and in the afternoon, maybe someone will grab one last coffee break to help get them through the rest of the day. Having to leave the office to get a cup of joe isn’t convenient and can waste company time, which is why free coffee at work is one of those small, but great perks an office can have. It may cost money; however, the productivity coffee can provide for workers may be worth the costs.